Imagine what your life would be like if you were treated like a "boss." Perks like free upgrades, getting the best table at the restaurant, and setting your own schedule would be your new normal. You can make this happen by building a powerful executive presence that combines your personality and your professional goals. No matter what your station in life is, learn these powerful skills to be treated like a boss. So what's the secret to creating a powerful executive presence? The answer: Build your skills in 11 key areas and integrate them into your daily life. LEARN: How to Make an Impact in Your Work and Life The secret to developing a powerful executive presence is to improve your skills in professional and personal interactions. You can do this by following the steps in the 11 key areas, which provide easy strategies to make yourself the "go to" person in your office or business. These skills apply to all areas of your life. Right now, many of the ways you have learned to present yourself professionally will not have the biggest impact on your life—whether you are going up for a promotion, starting a business, or building your network. All you have to do is follow the activities in each section and focus on them instead of worrying about standing out. The great thing about these practices is that, once you learn them, you will see immediate benefits in many areas of your life. 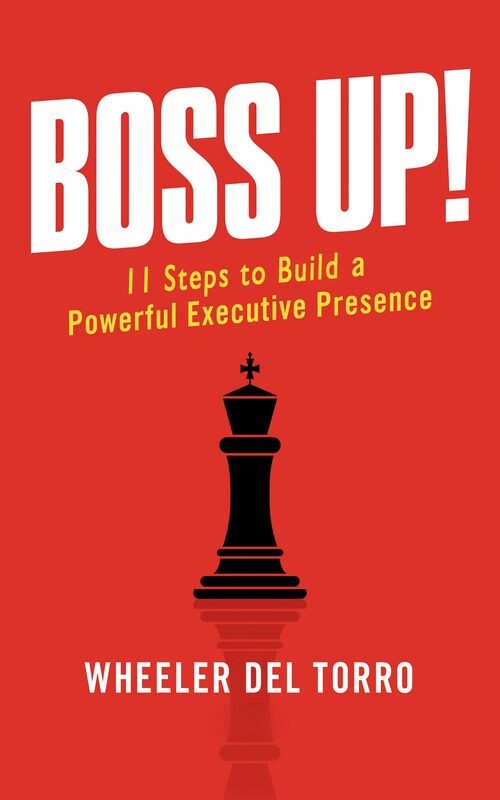 In Boss Up!, I show you the 11 key areas to develop your executive presence and how to get the most from each skill set. Boss Up! provides an action plan to maximize the ELEVEN areas of executive presence.